Moving out of a rental property is indeed a step into the future. Changes are just around the corner, and the last thing on your mind is the property you left behind. But you want a smooth transition, without any hassles. To do this, you must comply with all of your duties before going, give your landlord notice, and leave the rental in excellent condition. Below is a thorough moving list that will guide you through the entire process. After all, getting your security deposit back, while remaining in right relationship with your landlord is essential. First, review your rental agreement and find out how to properly end the lease. Rules about moving out, maintenance, and utility changes change depending on your lease agreement with the landlord. Be sure to check if you're following the correct procedure. The lease lets you know how far in advance you must notify your landlord before moving out; so that the landlord can give you proper instructions regarding the property. Majority of the rental contracts require the tenant to provide 30 days notification before leaving. So, be sure that you write a letter detailing the property condition, the date you're moving out, you're new address, and a request for the return of your deposit. If you're moving out before the conclusion of your lease, be sure to include a reason for your departure in the letter and a request to cancel the contract. Remember, always keep the landlord up to speed during the entire moving process. By law, you're required to return the property to the landlord in the same condition as it was received. So it's essential that you thoroughly inspect the property for any damages. Normal wear and tear is expected and alright, but if holes, dents, or notable scratches are present, they must be repaired. Give the rental a proper and thorough inspection, making sure that everything is functioning as it should. Keep all receipts and documents regarding repairs; request that the amount of money you spent on them get subtracted from your last rent. Make sure that all your bills get paid off; your landlord can use any money owed to you to pay any outstanding charges. 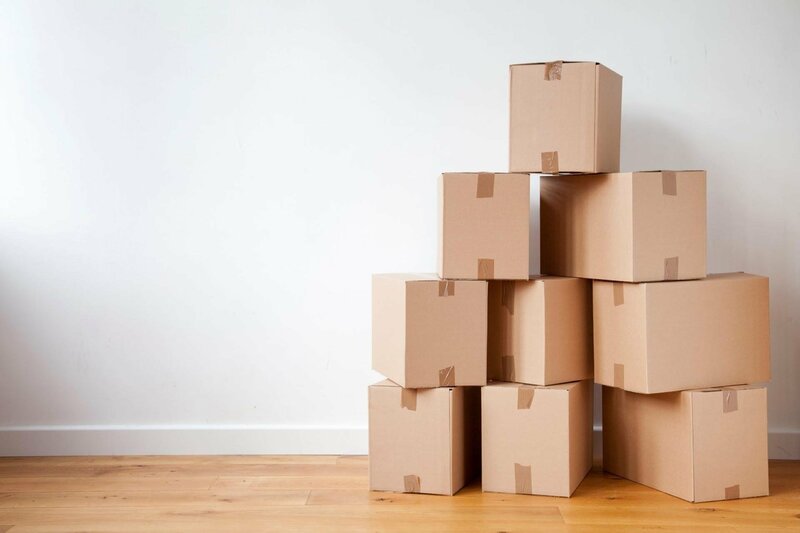 It's a good idea to inform all your service providers on your move out date so that they can connect all your services and utilities before your arrival at your new property. It's incredibly important to make sure that you don't leave anything behind. Purchasing shipping supplies will allow you to pack up all your valuables neatly and safely. Nothing should be in the property after you've gone. Your landlord can charge you money for removing anything that was left behind. After packing away your valuable items into the shipping supplies, start to clean the unit before moving out. Try to leave the rental in the same condition as you first saw it; this will make sure that you get your security deposit back. Keepa checklist of all the things you have to accomplish before moving out. Cleaning up can get frustrating so be sure to list what you have to get done. If you decide to use a professional cleaning service, be sure that it's in your budget. In case of any issues, you need proof of precisely the condition you're leaving the apartment. Take videos and pictures to list any repairs that you did. Remember to keep all the repair receipts. All the evidence will come in handy if an issue arises regarding the security deposit. After finishing all the demands on your checklist. Go ahead and schedule a final inspection. The landlord will conduct a walkthrough of the property and see if retaining your security deposit is justified. Discuss any issues that may arise, try to find a mutually beneficial solution to any problems that come up. Unless you've destroyed the property, by law, you're entitled to your security deposit. Begin the process by sending a request via certified mail. Depending on your state of residence, the landlord has about three weeks after receiving the letter to return your deposit.